You would think with all the regulations we have regarding water safety in our nation, dating back at least as far as the Safe Drinking Water Act (SDWA) of 1974, the situation in Flint, Michigan would have been nipped in the bud well before it came to public awareness almost two years ago. Yet the lead pollution in the water in this relatively poor and minority-heavy community continued under the very noses of both state and federal regulators. This was an unacceptable violation of public health parameters at every level of government. But why did this happen? 2010: In a cost-saving measure, Michigan's leadership ordered the Emergency Manager of Flint to shift the city's drinking water from the Detroit River/Lake Huron, to the Flint River. 2011: The State of Michigan allotted oversight of Flint's drinking water to the Emergency Manager (EM), who was advised at the time that "anti-corrosion treatment" would be necessary, given the status of the lead pipes conducting drinking water to Flint's residents and the nature of the water in the Flint River. May 2014: In the first of several studies, researchers from Virginia Tech advised the EM that more anti-corrosion efforts were required, given the elevated lead levels found in the water. The response: civic officials publicly drank the water and declared it "safe." 2014-15: A cascade of citizen complaints about the odor, taste and appearance of the water was brought to the attention of the EM and the then-mayor. No significant action was taken at the state level. 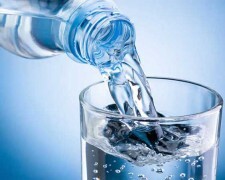 Some officials advocated distribution of water filters; others advised boiling the water before drinking: a wasted effort, given that boiling does nothing to remove the lead from water. January 2015: Detroit offers to re-connect Flint to the Detroit River; the offer is declined due to its cost. February to August 2015: An EPA water expert, Miguel Del Toral, identified potential problems with Flint s drinking water in February, confirmed the suspicions in April and summarized the looming problem in a June internal memo, which was leaked by the ACLU. Federal officials, instead of taking action under the SDWA, or going public with the information, opted to try to prod the Michigan Dept. of Environmental Quality (DEQ) to act, according to EPA Region 5 Administrator Susan Hedman, speaking to the Detroit News. Hedman said she sought a legal opinion on whether the EPA could force action, but it wasn t completed until November. July 2015: The state finally agreed to apply more stringent corrosion controls in late July. Ms. Hedman, commenting on the leaked memo which clearly described the elevated lead levels in the water, said that "no conclusions should be drawn" from it. September 2015: A re-analysis of Flint's water by Virginia Tech confirmed, indeed heightened, levels of concern for lead in the drinking water. Again, the MI DEQ disputed the findings and took no further action. A local pediatrician, Dr. Mona Hanna-Attisha, went public with her findings of 2x and 3x levels of lead in her patients in several areas of Flint. DEQ was skeptical and pronounced her reports alarmist. One week later, officials retracted their statements and agreed. October 2015: The MI DEQ admitted that it erroneously applied the federal Lead and Copper Rule overseeing water quality. The water supply was reverted to the Detroit/Lake Huron source. Virginia Tech analysts found reduced, but still elevated lead levels in the drinking water. November 15, 2015: A Federal class-action lawsuit was filed by residents of Flint, with numerous claims addressed against the state and local officials, including depriving them of the rights under the 14th Amendment (in that they deprived Plaintiffs of life, liberty and property without due process of law when they took from Plaintiffs safe drinking water and replaced it with what they knew to be a highly toxic alternative solely for fiscal purposes). Neither the EPA nor any of its employees were named. December 29, 2015: DEQ's head, Dan Wyant, resigns. January 12, 2016: Gov. Rick Snyder asks FEMA for assistance, and activates the National Guard to help distribute water and filters to Flint residents. Jan. 19, 2016: Gov. Snyder apologizes and asserts that he "let you down, and I will fix it." President Obama offers $28 million of federal aid. So as we see, multiple failures of responsible governance occurred, conspiring to lead to the potential public health disaster in Flint. Since no one really knows how many infants and children had elevated blood lead levels as a result, nor even how potent any particular levels are in damaging vulnerable neurodevelopment, studies covering many years will need to be done to begin to get a handle on the degree of health impacts from these failures. "The Safe Drinking Water Act is the principal federal law in the United States intended to ensure safe drinking water for the public. Pursuant to the act, the Environmental Protection Agency is required to set standards for drinking water quality and oversee all states, localities, and water suppliers who implement these standards. SDWA applies to every public water system in the United States." The EPA has proposed a rule, Waters of the U.S., which if implemented would give the agency oversight over small rivulets and tributaries, streams, even farmland irrigation. Yet, despite the clear dictates of the SDWA, and the admitted alerts given to the local EPA administration, no action by the Federal overseers was taken. Only this week, the regional administrator resigned. I wonder why the agency held their tongues while this slow-motion calamity was unfurling under their noses?